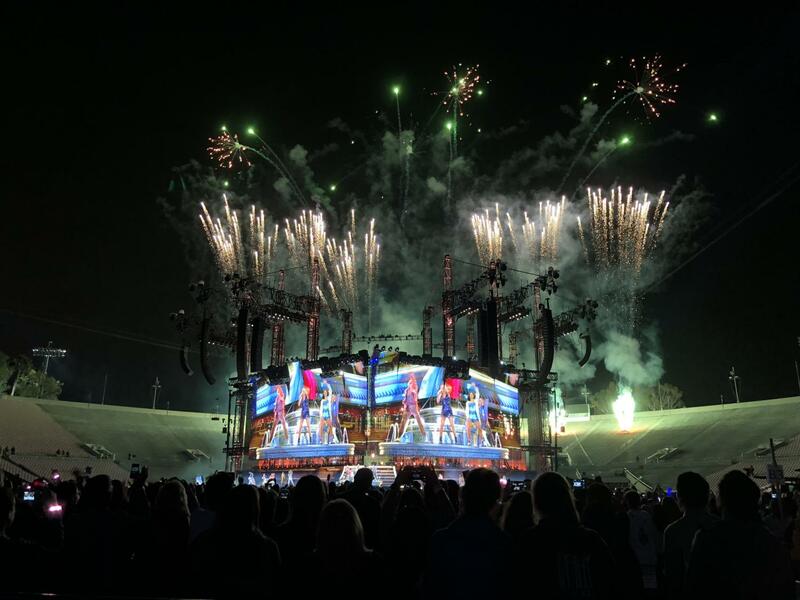 Complete with vibrant fireworks, stunning visuals and extravagant props including an enormous mechanical snake, Taylor Swift’s Reputation Stadium Tour is not here to disappoint. 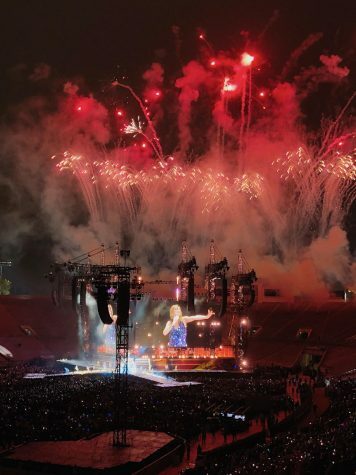 The singer recently began her international tour in Glendale, AZ, and came to the Rose Bowl in Pasadena for two incredible shows on May 18 and 19. From the moment she said “Are you ready for it?” to open the concert to the last thank you she gave as she left the stage, Swift had the entire audience in the palm of her hand from start to finish. For weeks leading up to the show, I was more than excited to see Swift perform my favorite songs live. This tour is especially unique because she sings a variety of songs from her past albums, including classics such as “You Belong With Me.” I’ve been a fan since I was in second grade, so hearing old songs made me overcome with nostalgia. Despite how there were 60,000 people attending the concert, Swift easily made it an intimate experience for everyone. Moments when she would do stripped down versions of her songs on the piano or guitar reminded me that behind the elaborate costumes and props was just a single pop star and her music that I fell in love with at nine years old. Though I loved Swift’s stripped-down performances, her other ones complete with dance routines, snakes and confetti were even better. 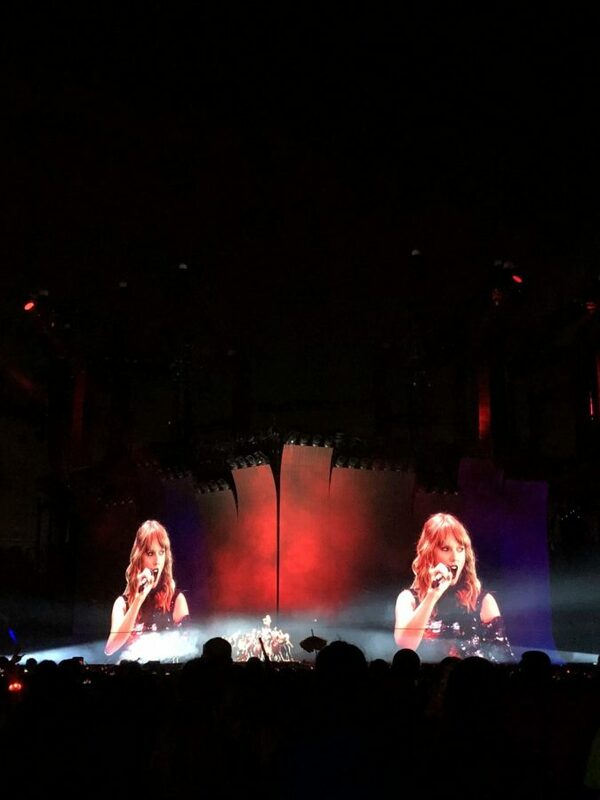 During “Look What You Made Me Do,” an enormous mechanical snake took the stage behind Swift as she sang to the crowd, owning her bad reputation. Swift traveled from the main stage to the smaller stages towards the back of the stadium by hovering over the audience in moving cages, keeping her promise to get as close to the audience as possible. The singer even brought out special guest Shawn Mendes and together they sang “There’s Nothing Holdin’ Me Back” to the surprise of the audience. My friends and I sat on the floor right in front of the barricade that Swift walked past during “Blank Space,” and I was lucky enough to touch her hand. At the next show on May 19, she brought out Troye Sivan to sing “My, My, My!” and Selena Gomez to sing “Hands to Myself.” At this point, the audience was screaming so loud that entire stadium was practically shaking. Swift always goes full-out with anything she does, and it shows in her Reputation Tour performances. Not only are her vocals incredible, but she also performs dance numbers at the same time, nailing each move to perfection. The Reputation Tour is yet to come to other states in the US, Europe and Australia.